It's FINALLY spring and you may be feeling like you want to get rid of those winter blues and jump start your health! Whether you want to lose a bit of weight, start eating healthier, improve your digestion, clear that foggy brain, improve your skin, increase your energy, optimize sleep, or balance your hormones! 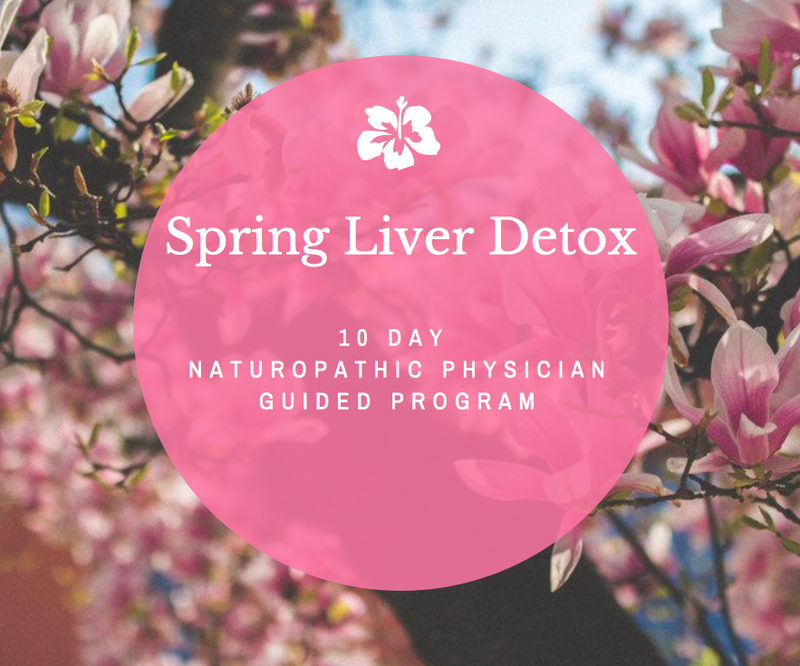 A liver detox can be just the thing to set the foundation of your health. There are SOOO many liver cleanse/detox programs out there, so how do you know which one is best for you? How long should you follow one? And what if you get side effects? Well I've designed this 10 DAY SPRING DETOX PLAN to avoid the confusion. What's even better? Is that you won't be going on this journey alone. You will be joining other like-minded people in your community who want to feel better, look better, and be better! Your's truly will support you along the way with daily struggles that I faced, along with tips and real strategies to enhance and support you along the way. What's Included in the Detox Journey? The truth is, everyone can benefit from a liver detox. Our environment is full of toxins and the liver takes on the job of filtering those toxins. This can be an overwhelming job for one organ and the liver can get fed up and start storing toxins in other body tissues, such as fat cells, nerve cells, the brain and our joints! Older PostWhat's the Big Deal with Iron?